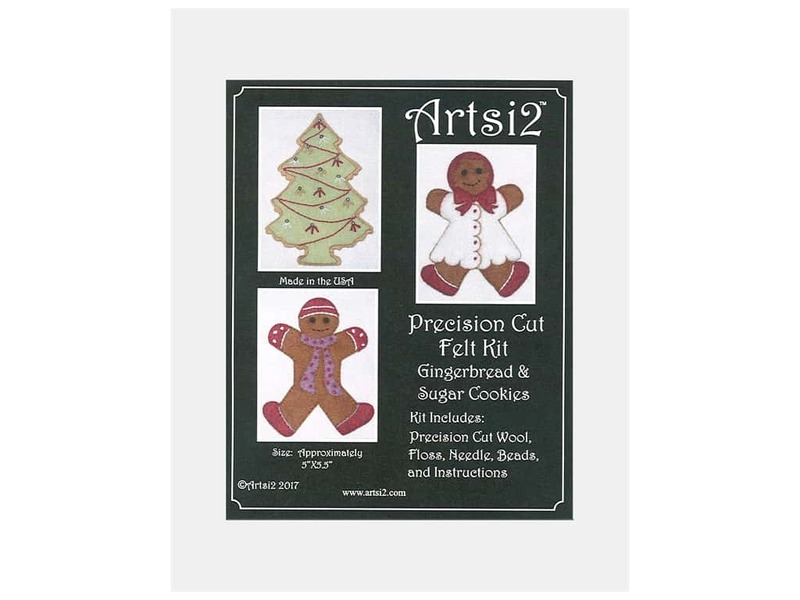 Description: Artsi2 Precision Cut Wool Felt Kits have everything you need to create warm old-fashioned memories for today's busy world. Precision-cut felt shapes are ready to be sewn together with enclosed floss, needle, and instructions. Gingerbread & Sugar Cookies- Three different cookie shapes: gingerbread boy, gingerbread girl, and sugar cookie tree. Includes beads, placement diagrams, and stitch guides. Beginner skill level project. Each measures about 5 in. x 5.5 in. See more Artsi2 Precision Cut Wool Felt Kit.